If I were to write the biography of Batangas Gov. 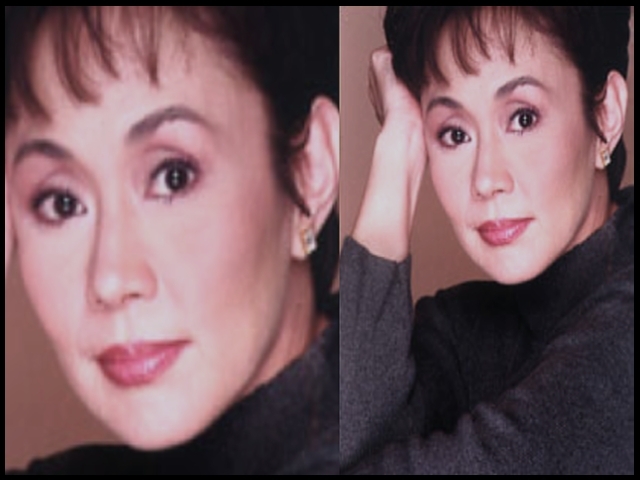 Vilma Santos, I would open it when she was around 14, a period when a girl is deemed too old for dolls but too young for guys. I was barely out of college then and Vilma was in her bobby socks stage. I fetched her and her mom, Milagros Santos (now into her mid-80s), from Torres Auto Supply on España St., Sampaloc, Manila, and we took a taxi to Manila Times office on Florentino St. in Sta. Cruz, Manila. Vilma was going to be featured on the cover of Variety, one of the then No. 1 broadsheet’s Sunday magazines, and I was tasked to do the cover story. She was in that awkward stage, too old for tearjerker kiddie roles such as those in Trudis Liit and Ging that propelled her to child stardom and too young for adolescent roles that she would be doing shortly, such as those saccharine flicks that she did with Edgar Mortiz in the Vi-Bobot era that pitted them against the Guy & Pip tandem of Nora Aunor and Tirso Cruz III. She’s called a Star For All Seasons for a good reason: She has successfully navigated the dangerous waters from being a matinee idol to a serious actress, paving the way for those in her league to go “daring” via her award-winning portrayal as the title role in Celso Ad. Castillo’s landmark movie Burlesk Queen. From then on, Vilma (who will forever be simply Vi to her family, fans and friends) successfully ventured into other fields, including doing an album that has become some kind of a “classic” that is a perfect soundtrack for a workout (try it!). She reaped awards along the way. The bio will discuss how she manages to play to the hilt her real-life triple roles — in this order — family woman (wife to Sen. Ralph Recto and mother to Lucky/Luis and Ryan Christian), public servant (beautifully wrapping up three terms as Lipa City Mayor before becoming the province’s governor) and actress par excellence (she’s shooting The Healing for Star Cinema, directed by Chito Roño). And how will the bio end? It will be a cliff-hanger because the life of Vi is like an extended teleserye with subplots cropping up at every twist and turn. But it will hopefully have a happily-ever-after ending like a fairy tale that Vi’s life is likened to. Anyway, before that tell-all biography, let’s ask Vi what lessons she has learned as she celebrated her 58th birthday last Nov. 3, taking time out for her annual family vacation, this time on an Asian jaunt kicked off by a weekend in Phuket, Thailand. Vi herself made the list in her own handwriting, using her left hand, she being kaliwete. 02. Respect the opinion of others. 07. Apply my own make-up. 12. Respect colleagues in the movie industry and politics. 16. Trust people who are trustworthy. 19. Speak with responsibility in public. 20. Deal properly with my constituents. 21. Understand the problems of other people. 22. Be a liberated mother to my sons. 23. Be a good (not necessarily a model) wife. 24. Give priority to my family. 26. Spend less than what I earn. 27. Manage my own finances. 28. Pay my taxes on time. 29. Appreciate the love and support of all my fans (the Vilmanians). 30. Extend a helping hand to people in need. 32. Appreciate CNN (World News). 33. Be considerate of the feelings of other people. 34. Treasure true and real friends. 35. Respect my subordinates and treat them fairly. 36. Try to live up to advances in technology. 38. Run a local government. 41. Love my career as an actress. 42. Respect my position as a public servant. 43. Be tough in facing challenges. 44. Not to disappoint people who give me their trust. 48. Not to underestimate children. 50. Always keep an open eye. 51. Not to hesitate to ask questions when I don’t understand the issues. 53. That health is wealth. 54. Be a nature lover. 56. Pay attention to constructive criticism. 57. Express gratitude to whoever, whatever and however minor the things are said about or done to and for me. This entry was posted in ARTICLES and tagged Ate Vi, philippine movies, Ricky Lo, SSL, STAR, Vilma Santos. Bookmark the permalink.